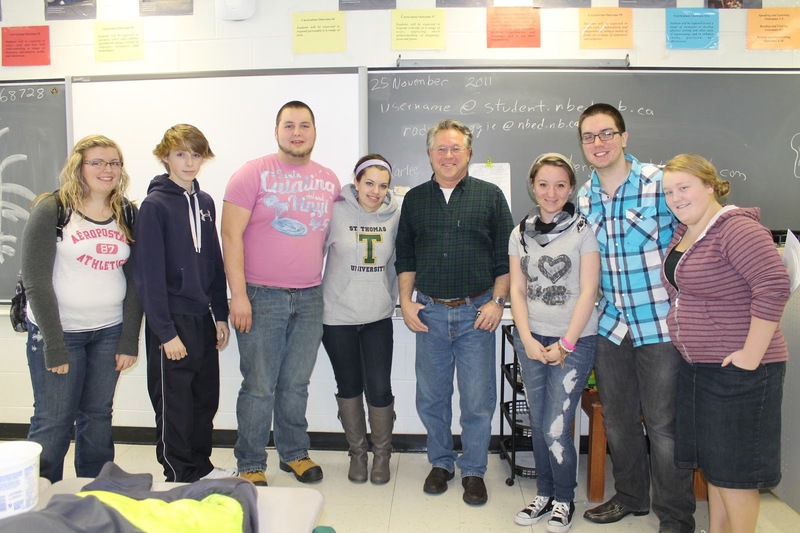 CBC Information Morning-Fredericton host Terry Seguin came to Blackville School on Friday, November 25 to talk to the Journalism and Law 120 classes. Seguin came to talk to the students about journalism, and how many changes have occurred within the world of journalism. He outlined what his daily routine is from beginning to end. Students were made aware that journalism is not a 9-5 job. Near the end of the presentation, Seguin answered a variety of questions that the students provided. Students were receptive to his presentation and enjoyed having him here. Journalism student Gina Sturgeon posted on her blog that Seguin was a very good speaker who kept her attention, and that she would not mind having him come back.